As per Kevin Lee, his last bout against Al Iaquinta was a winnable fight, he let loose", as per Lee, his hand was supposed to be raised in the UFC on FOX 31 headliner. Kevin Lee (17-4 MMA, 10-4 UFC), lost in a narrow unanimous decision to Iaquinta (14-4-1 MMA, 9-3 UFC) on Saturday at Fiserv Forum. Kevin Lee, around five years ago, had lost to Al in their very first encounter but this time the result was expected to be a little different as Lee was coming as a favorite. Lee tasted his second loss against Al Iaquinta and faced his very first loss after UFC 169 to the same fighter he fought around five years ago. We have seen fighters who take defeat pretty seriously and take everything on their own shoulders; Now, Kevin is showing the same sign. Sometimes, fighters should realize that Its fight business, here you win some and you lose some. “The Motown Phenom” was chasing the Lightweight strap. 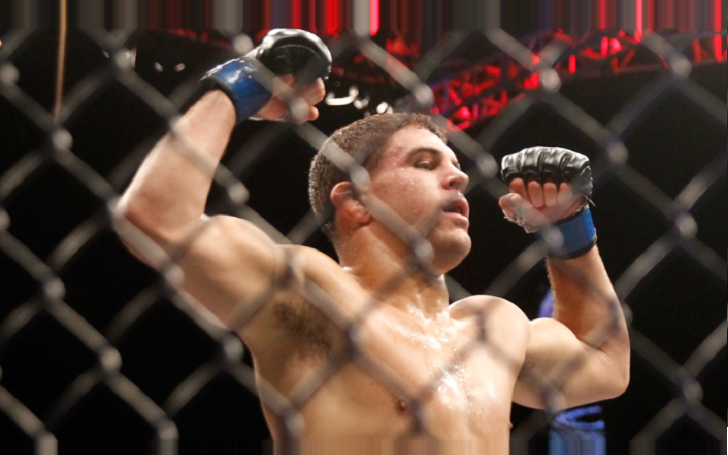 After his win over Edson Barboza, people were naturally believing that he is one or two steps away from the shot at the gold, but his unbeaten run stumbled upon Al Iaquinta in a decision loss. It might be time for me to make that change, Lee said "I knew it about a year ago, but I’m a real stubborn son of a (B****), so I’m just going to try to make as many adjustments as I can and make it as clean as I can, but it still is very rough for me to get down to this weight. Maybe now it’s time to just go up and look at other options." “I think I can compete very, very well at 170 and be fast in and out of the pocket, too. I don’t know. 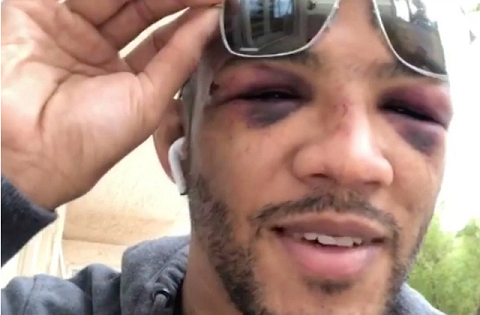 We’ll see as I kind of get healed up and everything"
After Lee's loss we saw Khabib Nurmagomedov get into twitter and preach Lee to be humble and after all that went on between Ali Abdelaziz and Dillon Danis, Lee finally spoke his mind and said'(Expletive) being humble'. Kevin Lee still sees greatness for himself after experiencing a tough loss in his rematch with Al Iaquinta on Saturday at UFC on FOX 31. 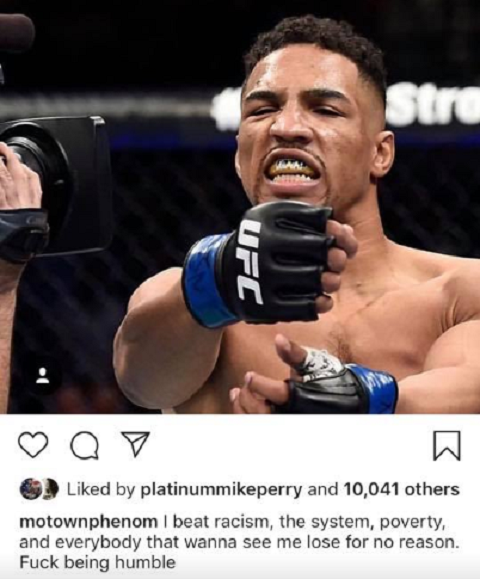 Kevin Lee then took his time but gave his reply to preachy Khabib and said: F*** being Humble to Khabib with an Instagram post where he shared his experience of fighting poverty, racism, and criticism so no one else needs to tell Lee what to do and what not to do. Al Iaquinta and Kevin Lee rematch ended in the same way as the original, after Raging Al won by a unanimous decision. Judges scored the bout 48-47, 48-47 and 49-46 in favor of Iaquinta. On the Other hand, AL Iaquinta said that he took Khabib fight on very short notice and faced it like a man, so he is the one who should be getting a rematch, not Conor McGregor and if Conor wants to fight Khabib he should fight AL. So that in a way Al Iaquinta was seen calling Conor out because he knows Tony Furguson is the guy who lawfully deserves a shot at the belt despite four consecutive failures.